This Online project is aimed at automation of a Travel Ticket Booking System i.e-Ticket Reservation System in Asp.Net. Objective of the project is to develop customized website for Travel Agencies so customer can book their tickete online through home. The system also provides a comprehensive mechanism of ticket booking for any travel agency. 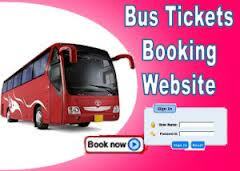 Ticket Booking is designed to help wide range of travel agencies come together and provide service to the customer. Ticket Booking comprehensive functionality helps the agencies expand their horizons in the field of providing service to the customers. The Online travel Ticket Booking System is about the online service for the reservation and the inquiry for the passengers. The online system mostly very helpful to the company as it can made available the seats availability to the passengers online and sell the tickets online. The system replaces the previous system of manual purchasing of the ticket and inquiry The flight/Train/Bus schedule and the timings will be shown on the online. The system makes the booking system very easy. The Existing System The Existing System has the ticket counters at the particular place. The passengers has to visit the counter to buy tickets and also to enquire the schedule. The travel agents made the system little bit easy as they provides the advance booking facility. The travel agents need to check continuously for the ticket confirmation with providers that makes the process time taking and unadequate. Web based user inteface with ease of use Developed in Asp.Net. All the travel agencies register to a common service called webservice as a client after which they are liable to interact with other travel agencies who provide services at different levels. A client has to provide the webservice with all the necessary information regarding his travel agency or a client may hold a site himself. A webservice hold the latest information regarding all its clients such as the different modes of transportation a travel agency hold, present status of the transportation, rates etc. When a particular travel agency books a ticket for a customer for his agency within his area or other the change should be reflected on to the webservice. So that others clients get the latest information regarding the service. The entire project is based on the E-commerce architecture where a transaction between the agencies has to be handled via the webservice.